In his latest book, Roger recounts the three voyages he has made with Mingming during 2007, 2008 and 2009. More than a mere description of long-distance voyages though, the book is packed with passages that give an insight into the preparation and planning needed for such an extraordinary undertaking, from poring over charts to selecting a suitable drogue. A worthy successor to his first book, this really must deserve a place in everyone’s library. This entry was posted on September 2, 2010 at 11:11 and is filed under News. You can follow any responses to this entry through the RSS 2.0 feed. You can skip to the end and leave a response. Pinging is currently not allowed. 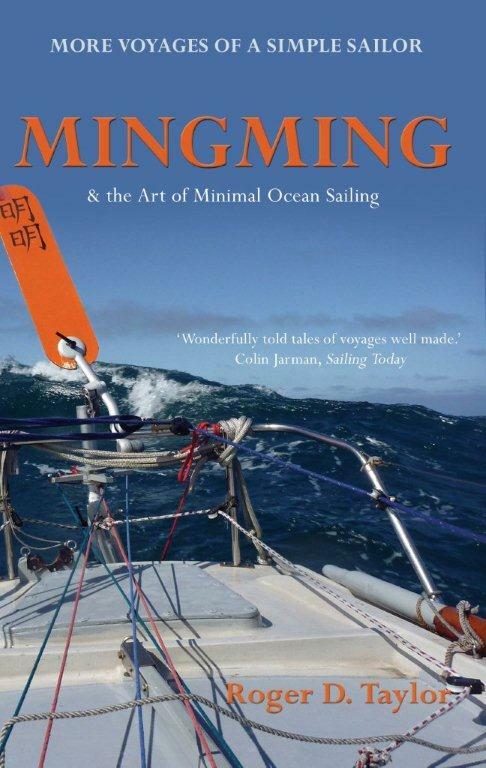 I have just finished reading “MingMing and the art of minimal ocean sailing,” and I can thoroughly recommend it. 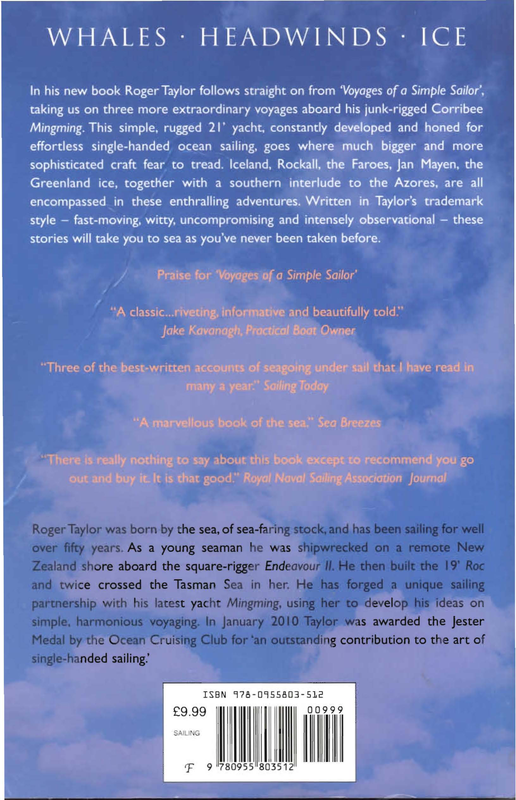 I also loved Roger’s previous book, “Voyages of a simple sailor,” but the second is even better, I reckon. He writes superbly and has truly compelling tales to tell. He is an unassuming hero, and his philosophy shines through in every chapter: keep it simple! Just an excellent read.